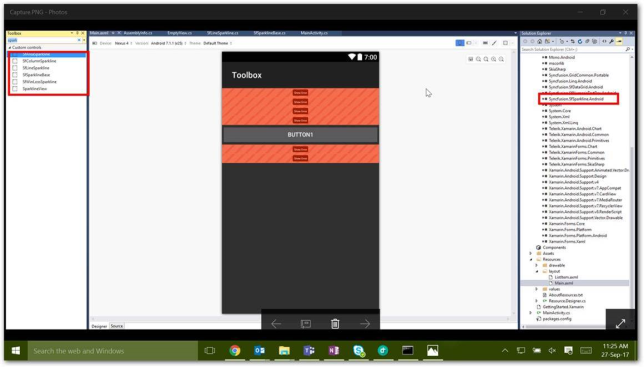 To load the Syncfusion Xamarin controls to Visual Studio toolbox in Xamarin.Android project, you should follow the below steps. 1. Add reference of custom control assembly, and rebuild the project once. 2. Open any axml files. Now, you can drag that particular custom control into the designer. It is only possible to customize the base class (View) properties. it would be really nice if this page tess WHERE to find the references!